Junette Nakamura and Sheri Kinoshita planned a delicious evening of food and wine. 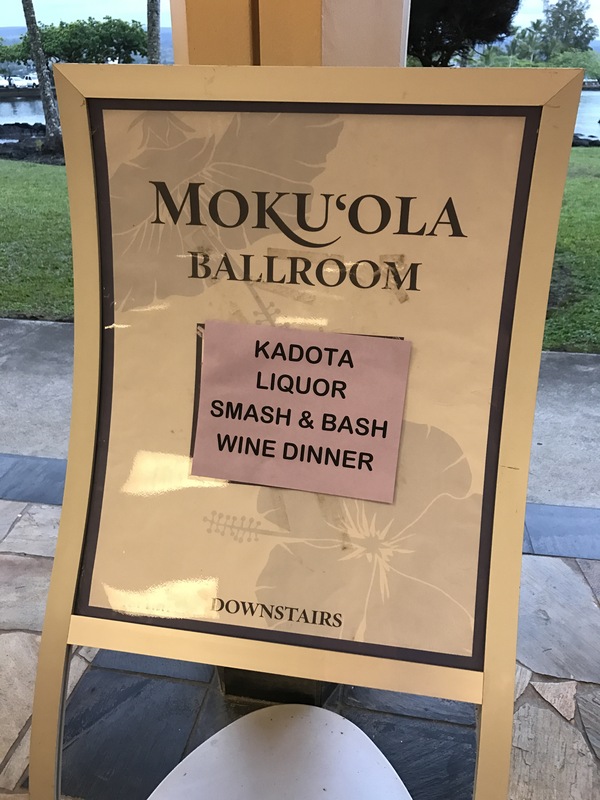 Ryan Kadota of Kadota Liquor worked with the chef at the Hilo Hawaiian Hotel to wow a group of Hilo food and wine lovers. The first course was tasty! 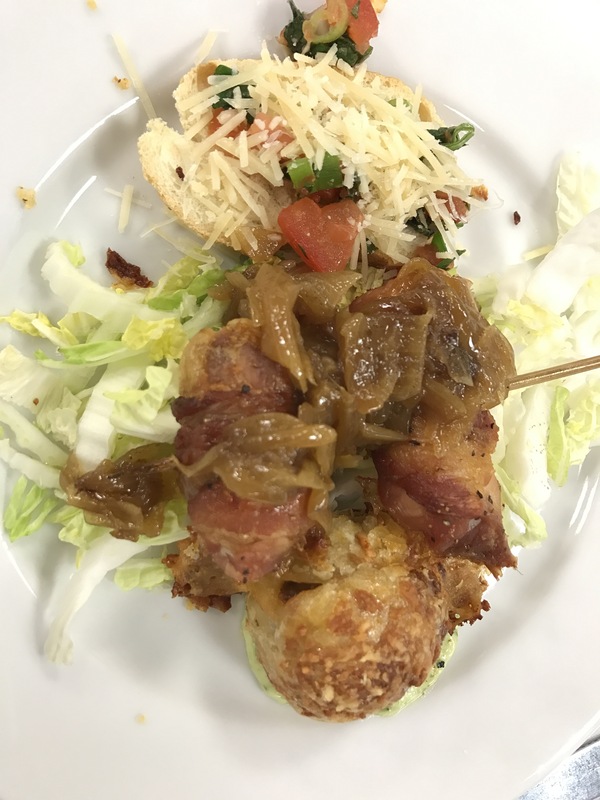 Bruschetta, bacon-wrapped chicken, and a sausage wrapped in a delicious bread. Next, we enjoyed a duo of salads. A Caesar salad and a spinach salad paired with a rose. The pasta course was also a pair of pasta dishes. Shrimp, chicken, mushrooms, cream and more. And the chef made the dish in front of us! The star of the evening was a standing rib roast! Perfectly done, impressive, and delicious! We ended with a delicious dessert. Strawberries and cream. We enjoyed the food and wine with good friends and new friends. I can’t wait for the next Smash and Bash Wine Dinner! Living Hilo Style. Looks delicious and fun – like all of your posts!! Thanks for reading! Yes–it was a delicious and fun evening. Can’t go wrong with food, wine, and friends.